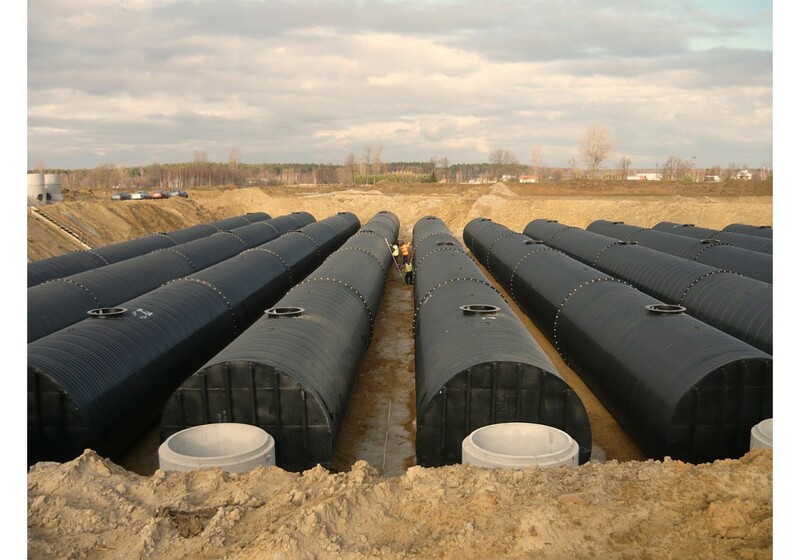 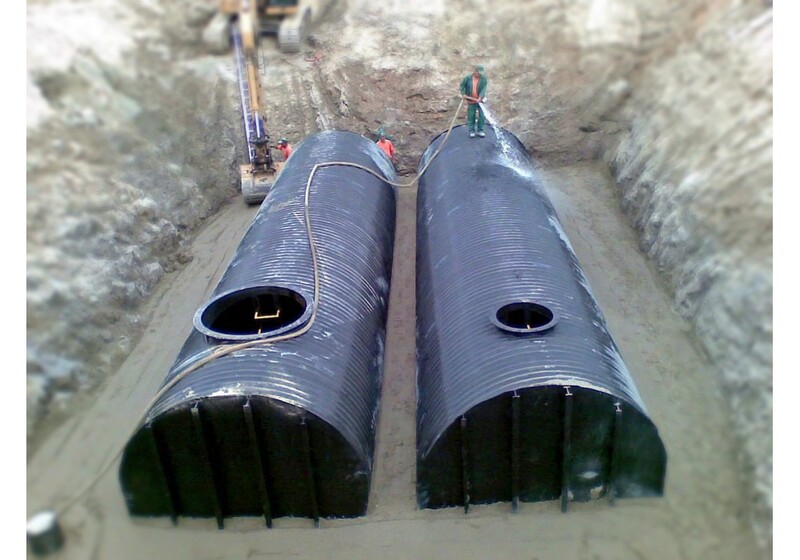 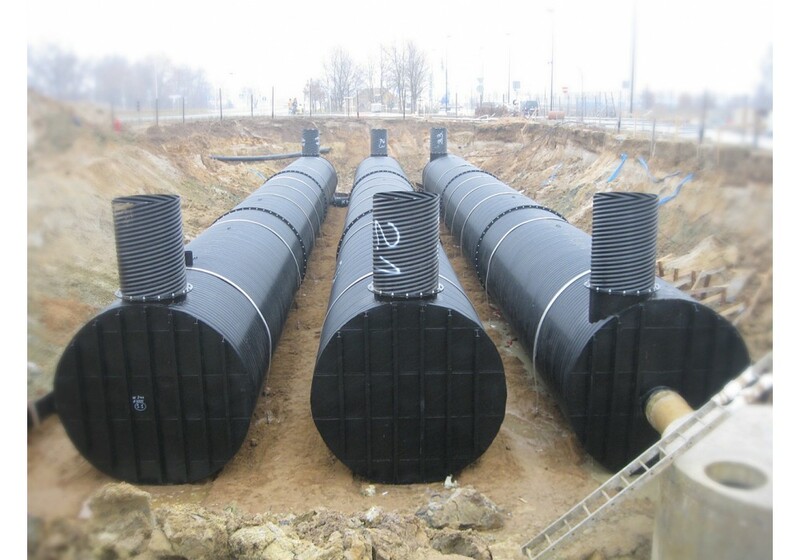 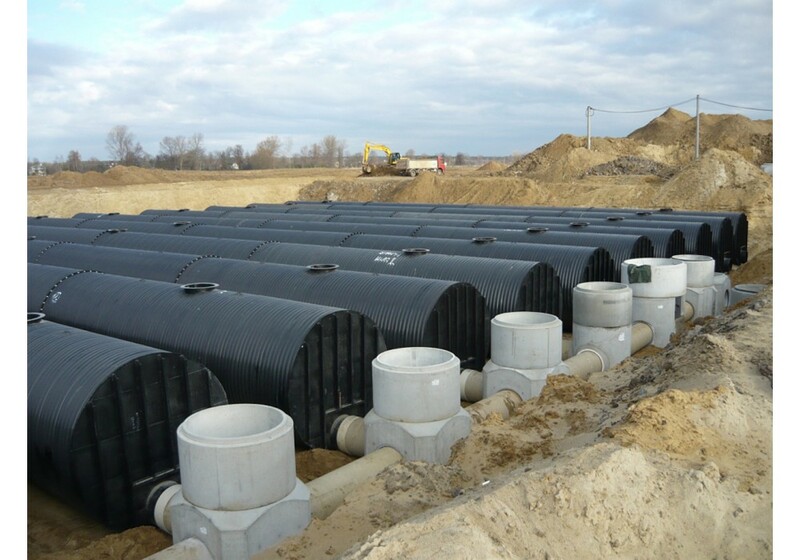 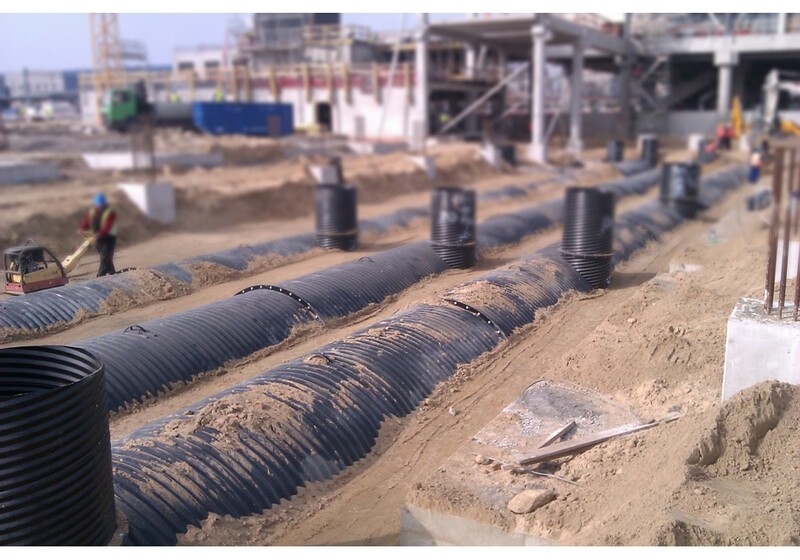 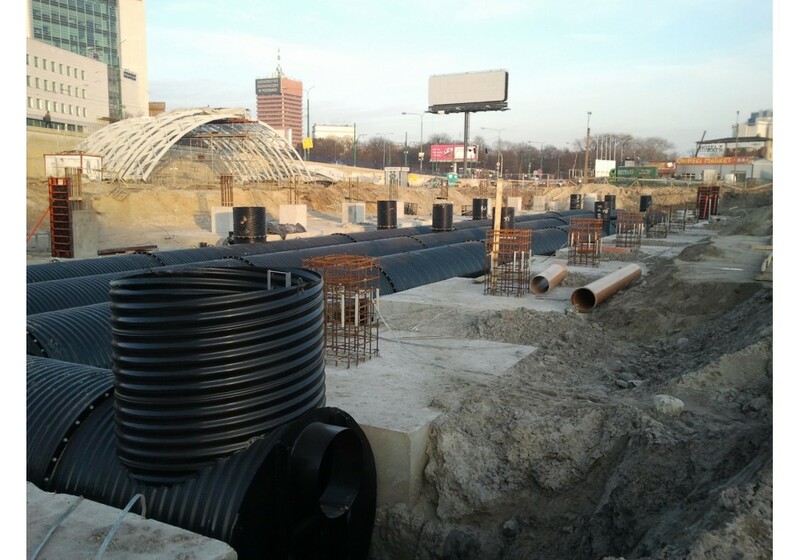 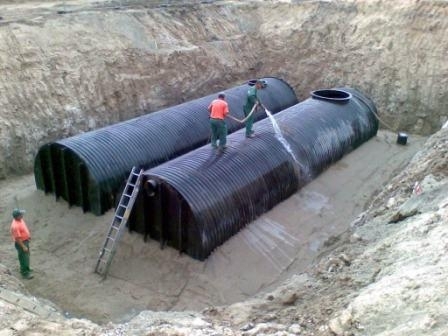 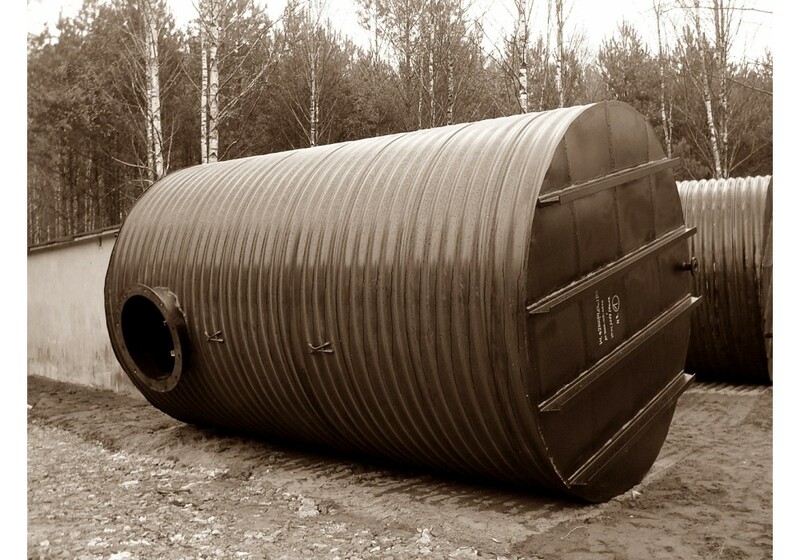 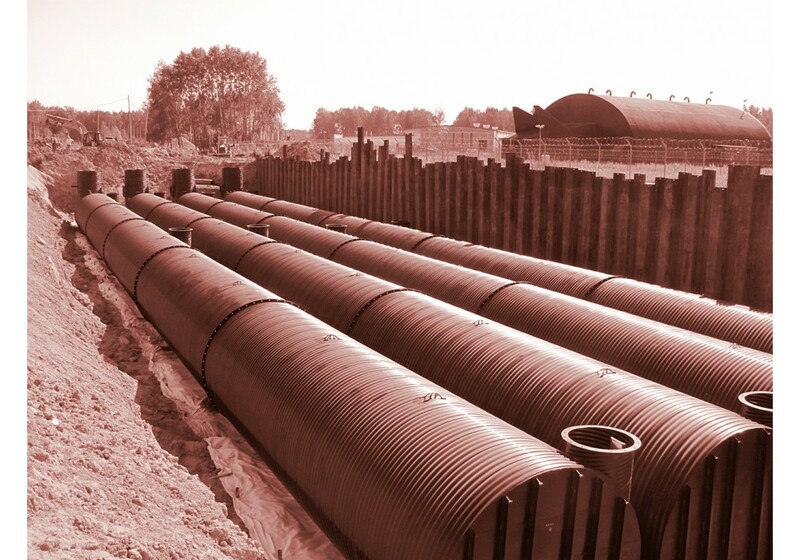 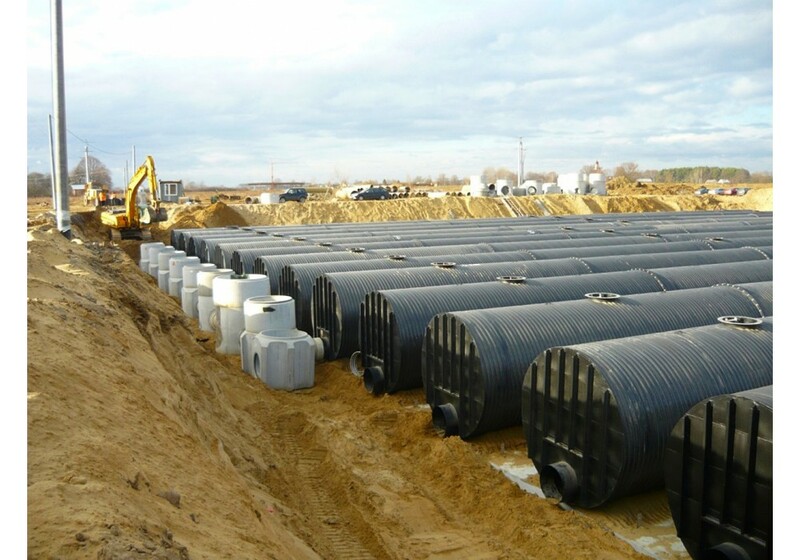 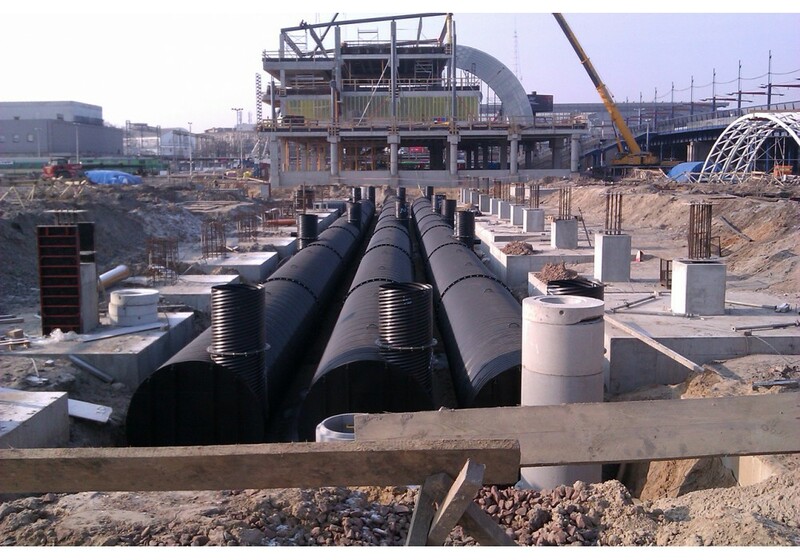 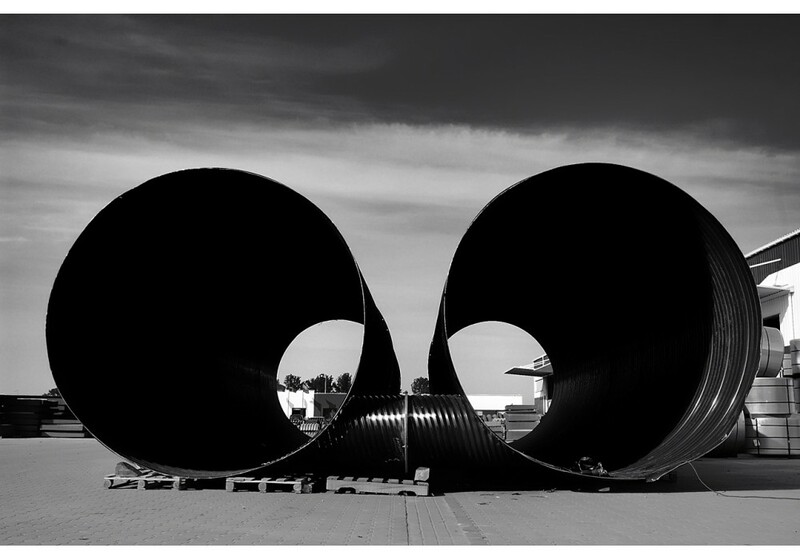 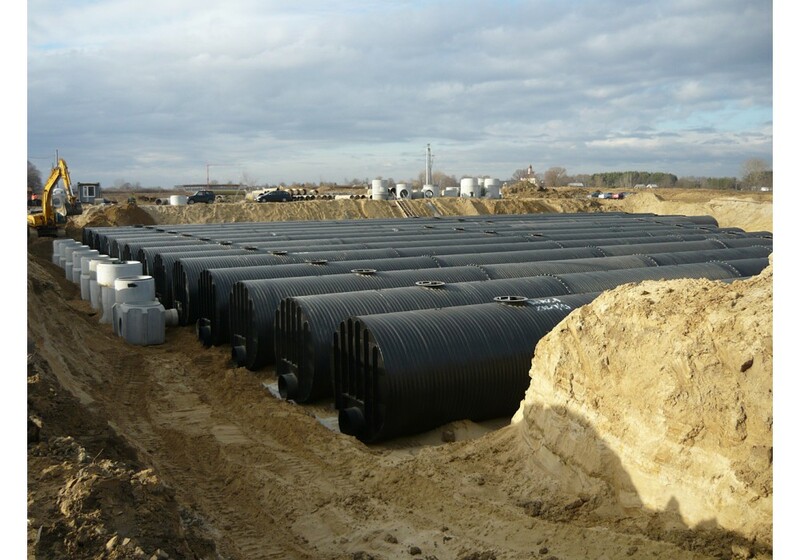 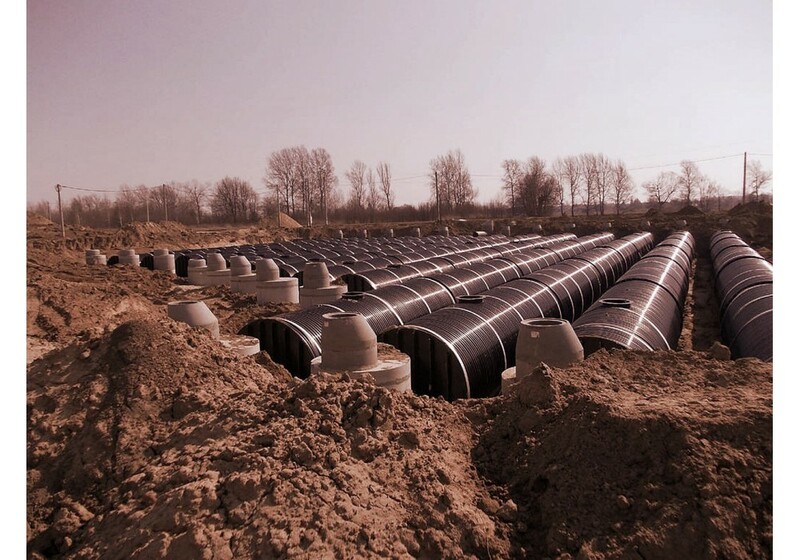 Retention tanks are made of spiral corrugated pipes HelCor. 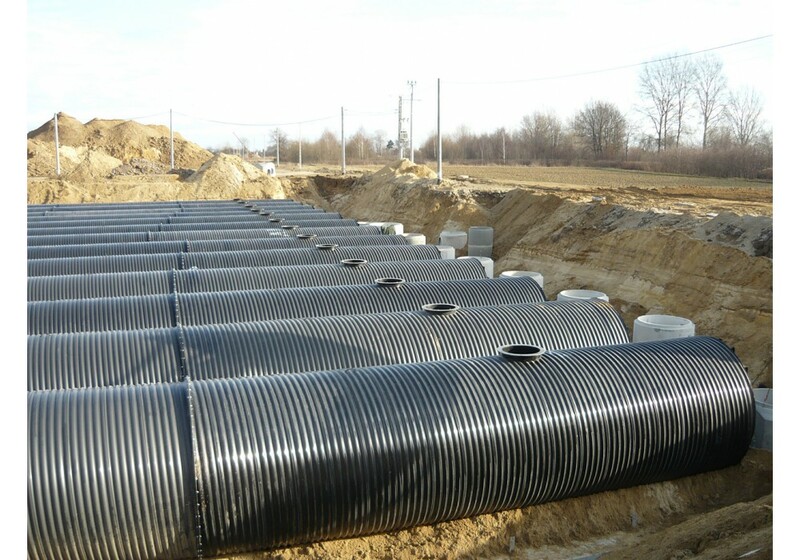 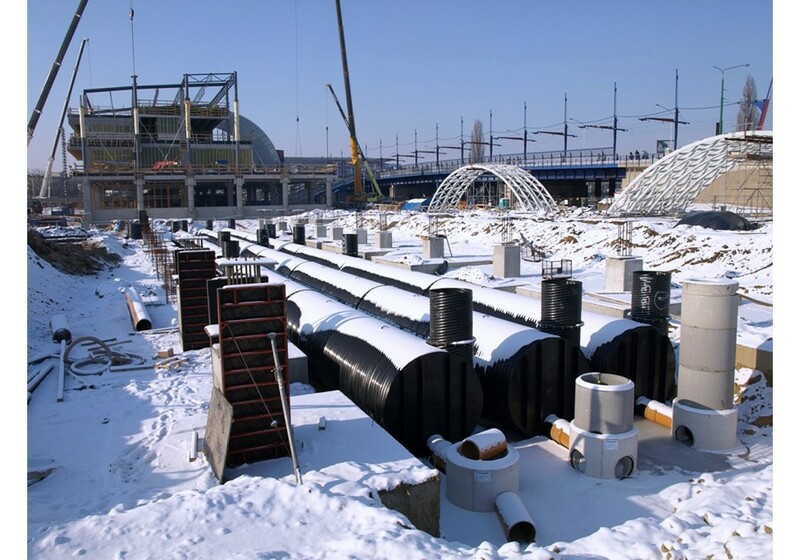 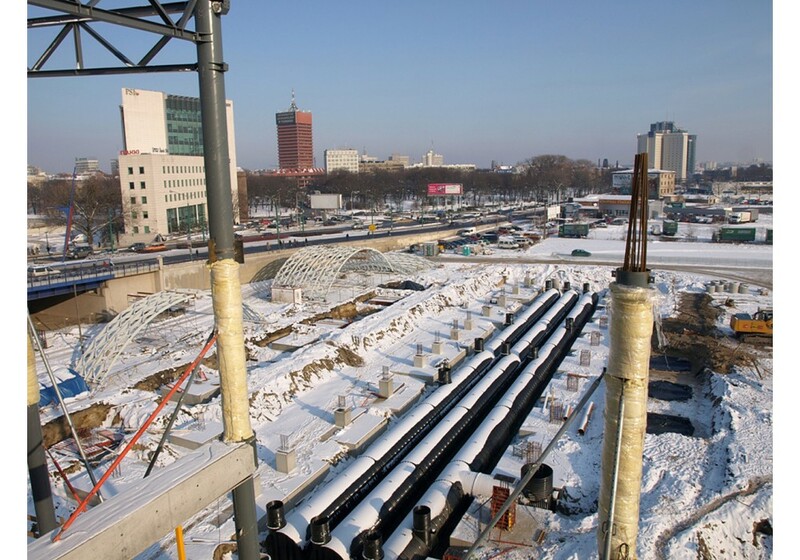 Pipes and connections are watertight and protected against corrosion by hot dip galvanization and polymer coating. 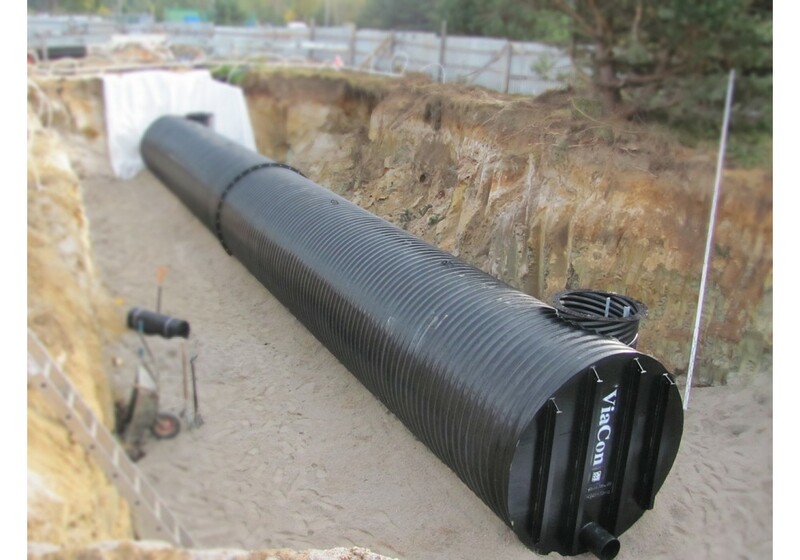 The system demands less space and is more economical than other classic solutions. 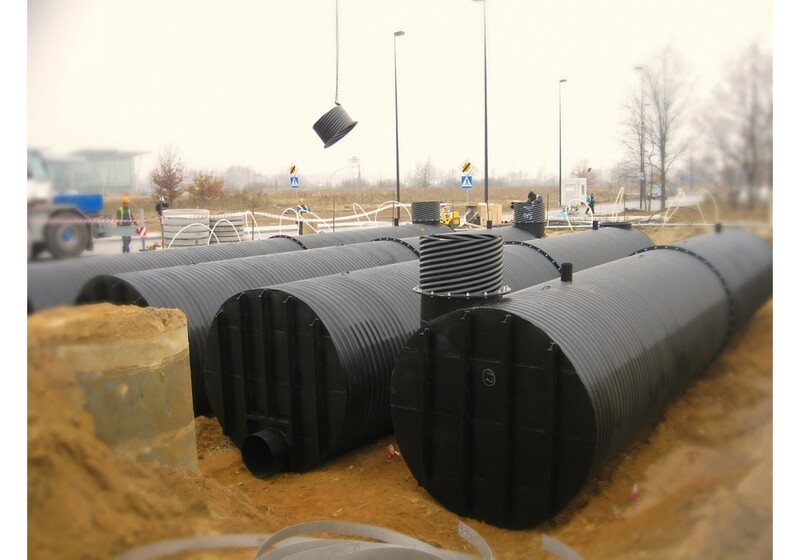 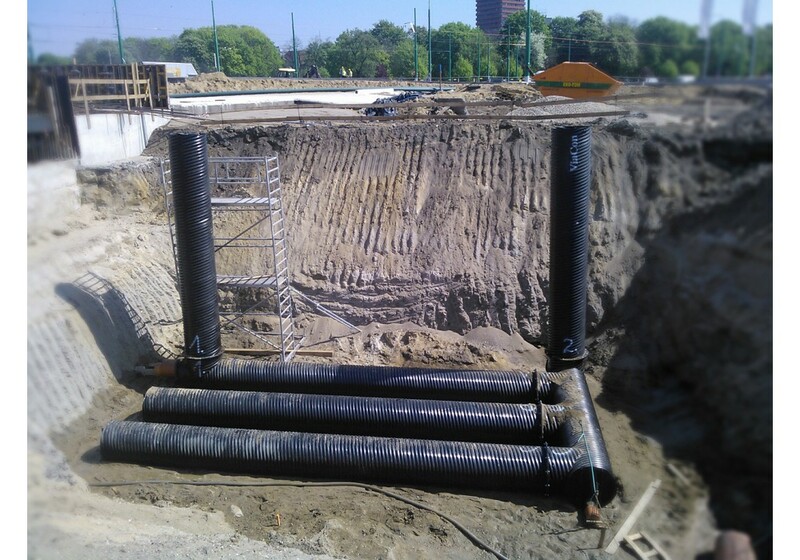 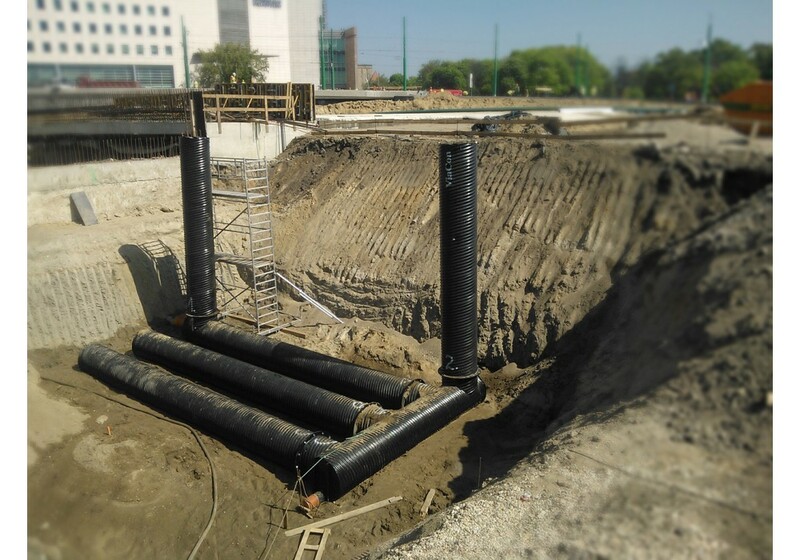 Diameters up to 3,6m and high capacity in a wide range of cover depth make the system perfect for solving the problem of rain water disposal in high developed areas.